Equinox – More Twins Set To Be Anchored Into 5D. Your Heart’s Wisdom Is Trying To Guide You To Love. But, Have You Been Held Back By False Guidance? Welcome into a brand new week in the cosmic energies! Mercury Pushing You Out Of Your Mind? Mercury retrograde casts a big cloud of confusion over this whole week – but there are also positives to this. 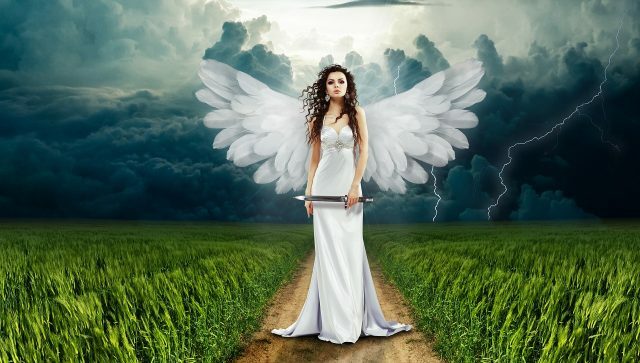 Moving “backwards” through Pisces, Mercury is stirring up a haze around your mental faculties, but this can help you to go within and tap into your HEART’s wisdom. You may have heard me say this before but the spiritual wisdom of Mercury retrograde is that it pushes us to not exclusively rely on our analytical minds. However, it requires for you to stop seeking on the outside, and instead go within. Spiritual efforts via the mind and the “ego” are set to bring a lot of frustration right now. Those who try to reach higher via the mind will meet clouds and more confusion. Be mindful of any channeled reports you read within the next few weeks – stick with trusted sources. A big thing right now is problems due to being swept up in the collective confusion and stress energy, reacting to other people’s material and congestion. Pisces is the realms of the collective “ocean of the unconscious” so for best results right now you must stand strong in your own authenticity, go within and listen to your heart. Spirit shows us this is “great training” for later, because this is a skill that will serve you for life. Those who live in their own truth cannot easily be destabilized or confused. When we are grounded in our own path and identity as souls, we always know the “truth”, we always know the right steps to take. Does a person/place/choice/event feel heavy or “tainted”? If so, it’s your system reading energy and reporting back to you about what you will encounter there. Does a person/place/choice/event feel glittery golden and exciting? That’s a message that it’s to your highest good! Remember to listen to your own system’s messages to you! And know that the higher and clearer your own vibration the easier and more reliable it gets to receive these messages. In this period it will be highly beneficial for you to ground and shield yourself (I take you through it here for free) and cleanse your system of other people’s stress energies. When you do this, you’ll notice that under the fray of confusion most people experience in Mercury Retrograde, there are crystal clear waters of love between you and your counterpart. But you must dive down and out of the mind to tap into it. What’s really happening when Mercury goes retrograde is a purge of the brow and throat chakras – and as a result a lot of static is in the “air”. This is why you benefit so much from using your heart and deeper insights right now. Was It Really Guidance, Or Negative Influence? When you think you’ve been receiving messages from your Twin or your guides. (Read about that here, for an example and see if you recognize yourself in it). Spirit shows us, this is highly common on the Twin Flame path. They want you to reevaluate the info you’ve taken in. Have you heard things like your Twin isn’t ready for you or they can’t come together with you in this lifetime? This is ALL FALSE, is spirit’s input. It is information from “negative influence” (again, read about what that means here). The truth is you wouldn’t be here in life if you weren’t meant to join together! Your Twin will never stop loving you, and if they doubt themselves that’s coming from Ego – it’s not a reflection of what is truly possible. Re-evaluate in this period any assumptions you’ve made about your connection and about your path, and allow the truth to be shown up. Spirit’s message is that there is a lot of false information in the spiritual community. Their statement is, when it’s “shocking” or “over-simplified” it is not true guidance. Because spirit will always communicate with sensitivity the full picture. They will never tell you something is “wrong” or make statements such as “3D will no longer exist after such and such a date” because everything is a process. If you’re in the spiritual community online, you’ll undoubtedly have seen dramatic statements like this made by one famous young “channel” especially who’s followed by hundreds of thousands of spiritual seekers. In spiritual truth, things happen due to choice and progress, not overnight as events dictated by the outside… We always have free will and spirit always respects this. True divine channeled information is gentle, respectful and high vibrational. You can FEEL the difference when you tune into the energy behind the words. If you want to learn how to receive true guidance, have a look here. I teach you how to protect yourself from ego and negative influence, and give you a tool to verify the truth and make any being be honest with you no matter what. 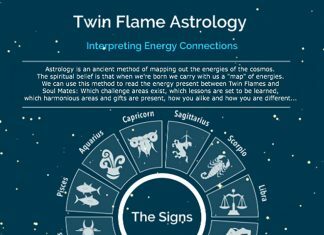 You can also read more here about Twin Flame Telepathy – the positives AND the big pit-falls such as ego interference. On March 20th Mars moves into a powerful trine to Pluto – this happens between Taurus and Capricorn. We’re seeing a deep “underground” transformation of the Masculine polarity – with a key focus on physical existence. We see “his” motivations and long-term aspirations changing, we see “him” getting to know his authentic self more closely. Not just mentally or emotionally but in terms how behavior, actions and activity in the “real world’. Pluto stirs a transformation of the deeper unconscious faculties, and we’re shown a “back door” to the higher self connection opening. We’re reminded that spirituality doesn’t happen “up there” in the crown and third eye only (read about what that means here), but the realms of the soul exist all around us. In the collective *unconscious* fields of humanity, the soul can reach forth with wisdom. The physical body can also bring messages of wisdom if we learn how to listen. This period sees a “repeat” of some of the intense issues we had with the Masculine as Mars conjuncted Pluto last April and during Mars’ retrograde in 2018. We see a Death/Rebirth happening for the Masculine – and spirit shows us it’s an inner renewal above all. An ego death and rebirth of a higher version of self is going on in this period. This time it’s set to be a positive experience. If you want to help your Twin and assist them in becoming their most loving best self, have a look at this new session here. As Mars deals with this process of transformation, death/resurrection in Taurus, his own “home” is powerfully activated. On March 20th the Sun enters Aries and we begin a whole new year in the cosmos. Aries is the birth point of the Zodiac, and when the sun returns here we have a new beginning every year. As opposed to the chronological new year in December, Aries’ return is a reactivation of the cosmic new year! This signals a powerful new beginning. The Spring Equinox the same day March 21st carries energies of light, effervescence and motivation. A high time for new joy and shifting perspectives. You will likely feel good about the future now – use this as fuel for your journey. And during the Equinox there is a gateway open now which thins the veil of perception and allows high vibrational energies to flood into the earth plane for a short while. More Twins are set to be anchored into the 5D energy grid at the equinox as a high vibrational gateway opens up. More and more Twin Flames will be anchored into the 5th Dimension during equinoxes and solstices over coming years. This means that you will be assisted in living from a place of higher vibrations, gradually lifted higher. But we have a responsibility to prepare for this. 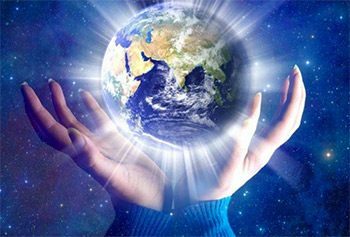 It is only when you have cleared out enough of the old 3D programming, low vibration energies and negative karma, that your system is ready to be brought into 5D more and more. Read more here about what 5D, 3D and so on really means. Again, it’s a process, but the anchoring assists you in lifting yourself up and removing you from the collective energy fields of humanity’s heaviness more and more. You become “free to create limitlessly” more and more. We are never anchored into 5D before we are ready. Our own personal energy vibration must be a match with it. This is why so many Twins stay stuck in the old struggles, because they’re literally anchored into it via the body and the chakra system. 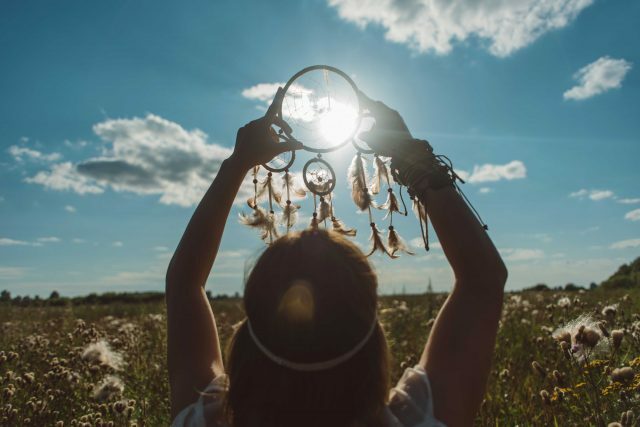 In order to speed up your (and your Twin’s) anchoring into 5D, you can consciously clear your energy and karma to get into alignment and be anchored in sooner. On the Equinox we also have a Full Moon Super Moon in Libra, putting pressure on us for the future path. Happening opposite the Sun in Aries, this is all about self vs other, the collective versus the individual. We are reminded by spirit that a key to the Twin Flame journey is to return to our authentic *self* as individuals. Because we then activate our “shared Twin Flame soul song”, a clarion call to attract our counterpart in harmony. They find it very hard to call in the other physically because they are not in alignment with their souls or the Twin Flame bond. If your Twin Flame seems out of reach, could it be your souls are calling for you as an *individual* to find your way back to your own authentic truth? So that you activate that soul song and your whole alignment and dynamic shifts? Authenticity is a key theme right now. Aries demands authenticity and courage for the self, whereas Libra is the expert diplomat who is drawn to pleasing everyone else. What choices are you making right now? What are you aligning with? Are you being true to your own “bliss” or are you looking to be appreciated, valued by others? Spirit says there is no substitute for your own approval. Those who seek approval from the outside are deep down longing for what they feel unable to give themselves. They show us, it’s “easy”! Start with yourself. Focus in on your own soul and your passions. They will guide you well. When you can stand strong in your own truth, you will find the Twin Flame connection opens up more smoothly – because you are aligned with the deepest bond of love. Yes, there may be inner work and past hurts that need disentangling for you to find this easy to do – if we’re feeling pulled in different directions or full of old fear it can be hard to be true to ourselves. Do you need some help with this? Your Twin Flame’s higher self is ready and waiting to assist you. Have a look here where I take you through an etheric transmission where they step forth and take the journey with you. This is set to be a week full of tension… But also immense potential for transformation and growth. What happens this week has the power to change everything for the long run. If you can avoid other people’s “stuff” and instead go within and “reunite with yourself”, you’re set to experience it as a positive and rewarding time. Set intentions for the future, journal about your strengths and what you feel deep down is your purpose, interact with your Twin Flame as a soul, work on visualizing your ideals… Regenerating and nurturing yourself from the “inside out”. Above all, you can benefit so much right now by embracing your own power. “As within, so without. As above, so below”. Want more? 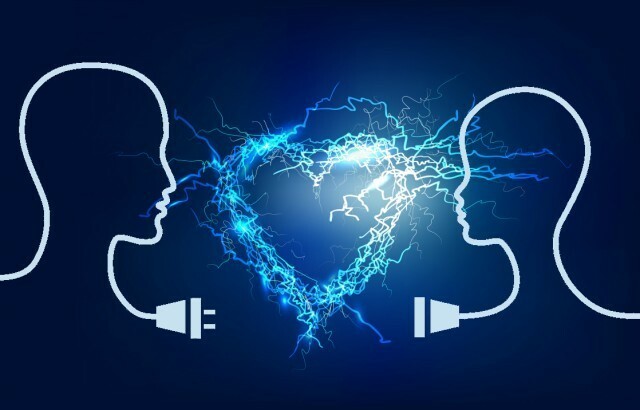 Download the Free Twin Flame Help Kit to get info on the awakening code 11:11 and the Ascension process going on across the planet right now, plus a deep Alpha Level meditation to connect with your Twin Flame on the soul planes! Or if you want to go deeper, resolve karmic debt and get to the bottom of Running and Separation struggles for good – have a look at my complete Vibrational Alignment Program for Twin Flames!